[size=110]Welcome to our Chat topic! Feel free to sit back, relax and bust a groove. Anyone and everyone is welcome here to chat! 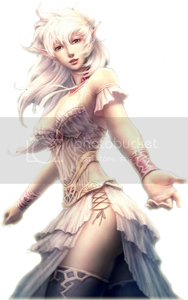 Last edited by MadHattery on January 2nd, 2013, 8:38:47 pm, edited 45 times in total. 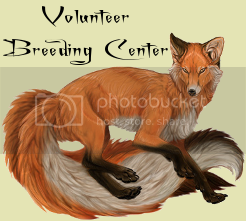 A: VBC stands for Volunteer Breeding Center, A group of people dedicated to helping people. We're here because we want to help people out and gifting is the best way to do that. During our free time here on Magistream, we like to chat and breed creatures for others to give them a start or give them that boost that they need! Q: How did the VBC come to be? A: We all enjoy gifting, but found that funneling all the trades through 1 person or account was extremely stressful. By doing the giveaways as a collection of individual gifters, anyone who wants to can participate however and for how long they wish. Q: How can I become a breeder? 1/6/2011 A: Whenever we need/require new breeders, we will place a link to an application. So sit tight! A: We have a TON of breeders right now like a scary amount and it still shocks me. We don't need anymore breeders for now but I have a feeling that we will eventually need more so stay tuned! Last edited by MadHattery on January 6th, 2011, 4:23:10 pm, edited 11 times in total. Want to link to us? Go right ahead! Last edited by MadHattery on January 12th, 2010, 11:37:55 am, edited 10 times in total. All we need are the banners now c: Shaka's coding them. We are open fer chatting! Quit. May check back to see MS's progress, but I'm not sticking around. Thanks all who had made my game worthwhile...Imp., Rose, Enchanted, tinni, Rinny, Swny, and any others I have missed.